The DYTM Raja Nazrin Shah International Open Chess Championship 2012 took place in Olympic Sports Hotel, Kuala Lumpur, Malaysia from 17-23 September 2012. 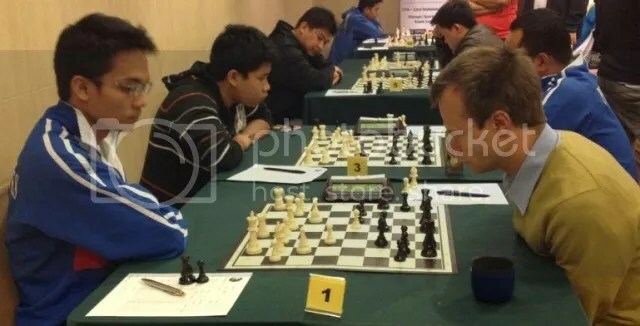 It brought in 82 players from 17 countries with the Philippines represented by 16 players headed by the 2011 winner and defending champion Grandmaster Oliver Barbosa. This 9-Rounds ‘Standard Chess’ Swiss event with sponsorship from the Masterskill Education Group was organised by Polgar Chess Asia for the Kuala Lumpur Chess Association (KLCA) with support from the Malaysian Chess Federation. It was observed by the players, as somewhat ‘demanding two rounds a day’ ! GM Oliver Barbosa who started on high gear in the first three rounds scoring 2.5/3 was slowed down by that sorry and costly loss in R4 against GM Sang Cao VIE(2505) that relegated him to 19th place after R4. From thereon, he recovered on time and did a herculean pursuit for the lead in the last 5 rounds scoring 4.5/5. 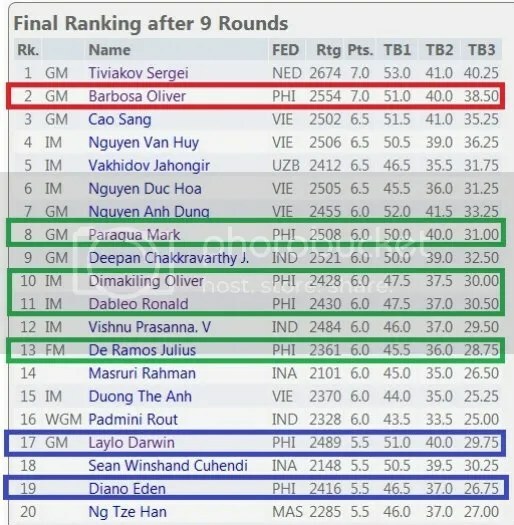 In the final round(R9), needing a full-point to stay in title contention, at the expense of another Filipino GM Mark Paragua, who was also bidding & in contention for the title, Barbosa trounced Paragua and was able to catch-up and equal the output of the perennial leader and the top seed super-GM Sergie Tiviakov NED(2674) at 7.0/9 to finish tied at first place. But having an inferior tie-break points with his 6Wins-2Draws-1Loss results, the defending champion Oliver Barbosa settled for 2nd place overall and a share of the 1st & 2nd place prize money. The Russian born and 2008 European Champion GM Sergie Tiviakov who now represents the Netherlands, registered a 5Wins-4Draws-NoLoss results, was declared the winner and took home the champion’s trophy. GM Mark Paragua settled for 8th place overall with a 6.0/9 score. Same score were registered by IM Oliver Dimakiling (10th), IM Ronald Dableo (11th) and FM Julius De Ramos (13th). 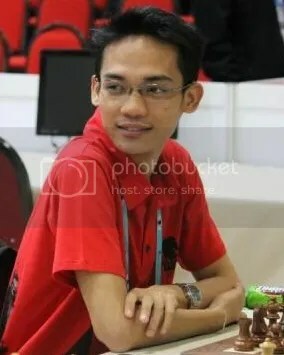 GM Darwin Laylo scored 5.5/9 @ 17th place.